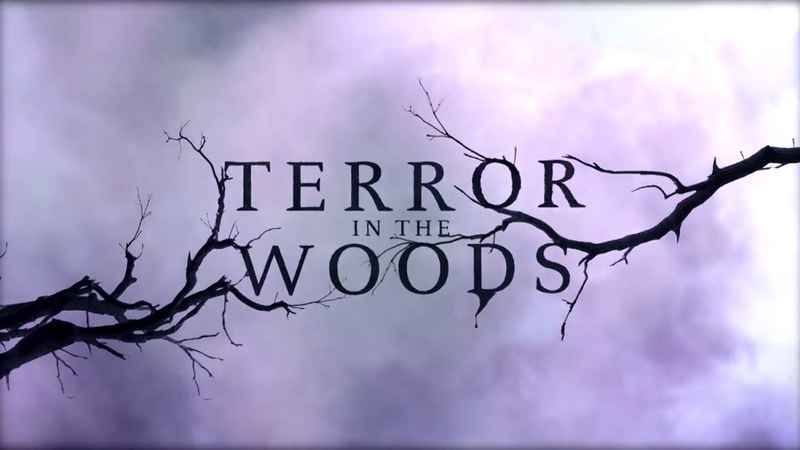 Terror in the Woods does not refer to the state of the weeds and brush in my backyard, but is rather an entertaining if uneven offering on the Destination America channel network, your gateway to the paranormal! While not the best paranormal show I’ve ever seen, Woods is certainly not the worst, and is probably worth a look if you’re into this kind of thing, especially in light of the dearth of new show material involving cryptids. Now the Werewolf and Demon in the Woods episode (S1/Ep5) featured two segments, the first of which involved two campers, David and Lisa, who while traveling on Roanoke Island in North Carolina encountered a wolf-like creature with glowing yellow eyes that was about four feet tall and challenged the male of the pair who investigated sounds that he heard outside of his camper and the vehicle that he was pulling it with. Things got freaky when the beast stood up upon two legs, which increased his standing height to about seven feet. The wolf-thing then approached the guy, closing the distance while ambulating on two legs! In the best Clint Eastwood tradition, the guy then pulled a magnum and fired a round at the creature, believing himself to have struck it in the shoulder. This seemed to annoy rather than deter the beast. When he perceived a second creature growling, the unhappy camper perceived himself to be outnumbered, wisely retreated to his vehicle, and beat a hasty retreat. Later at a gas station, the motorist asked another person if he had ever seen something strange in the woods, and the reticent stranger admitted that he had. This is the stuff of urban legends! So be careful when you go out in the woods, for “the nights are dark, and full of terrors.” And that’s the way that I like it!